The Quest brand brings you this 2 Slice Waffle Maker. Cook two crisp plain or flavoured waffles in minutes then add your favourite toppings before serving. Cooks 2 large waffles at once! 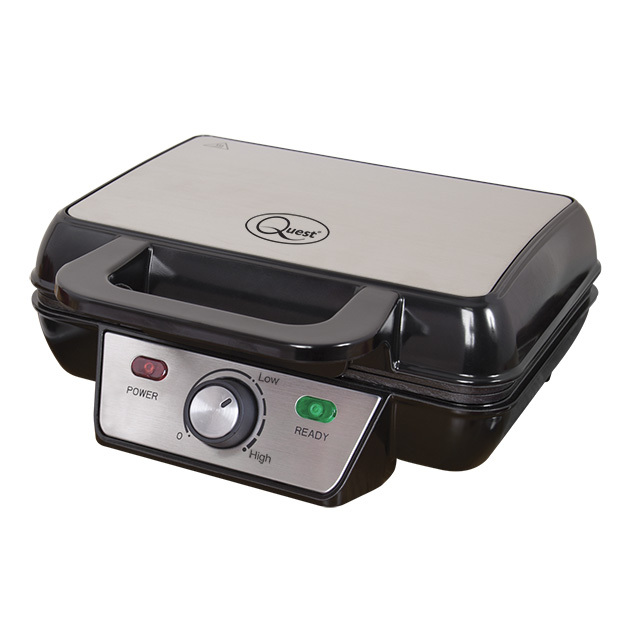 This Powerful 1000W 2 Slice Waffle Maker. Cook two crisp plain or flavoured waffles in minutes then add your favourite toppings before serving. Get into the waffle trend with this simple, compact 2 Slice Waffle Maker. Stainless steel housing. Non-stick plates so the waffles are easy to remove and making cleaning even more easy.